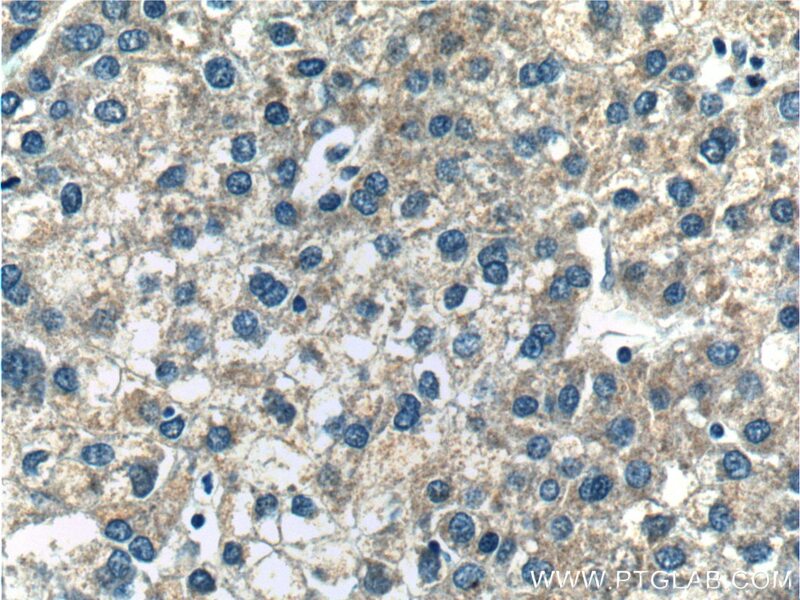 Immunohistochemical analysis of paraffin-embedded human liver cancer tissue slide using 10531-1-AP( DAD1 Antibody) at dilution of 1:200 (under 10x lens). 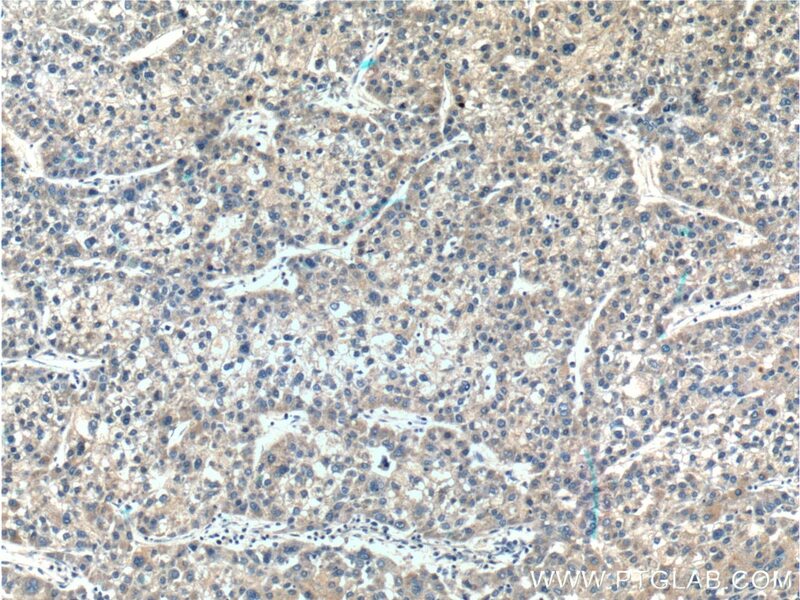 Immunohistochemical analysis of paraffin-embedded human liver cancer tissue slide using 10531-1-AP( DAD1 Antibody) at dilution of 1:200 (under 40x lens). 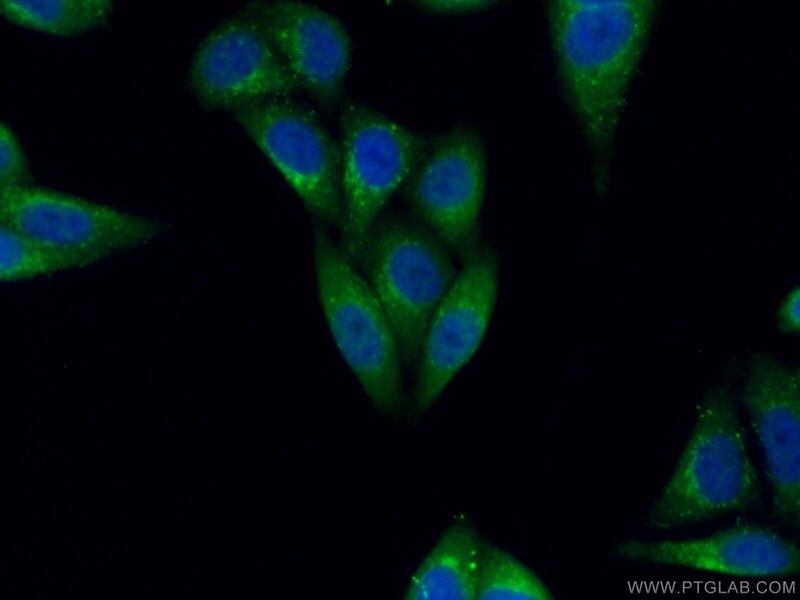 DAD1 (defender against cell death 1) is a downstream target of the NFkB survival pathway and exhibits an antiapoptotic function. It is also named as OST2 (Oligosaccharyl transferase2) and catalyzes the transfer of a high mannose oligosaccharide from a lipid-linked oligosaccharide donor to an asparagine residue within an Asn-X-Ser/Thr consensus motif in nascent polypeptide chains. 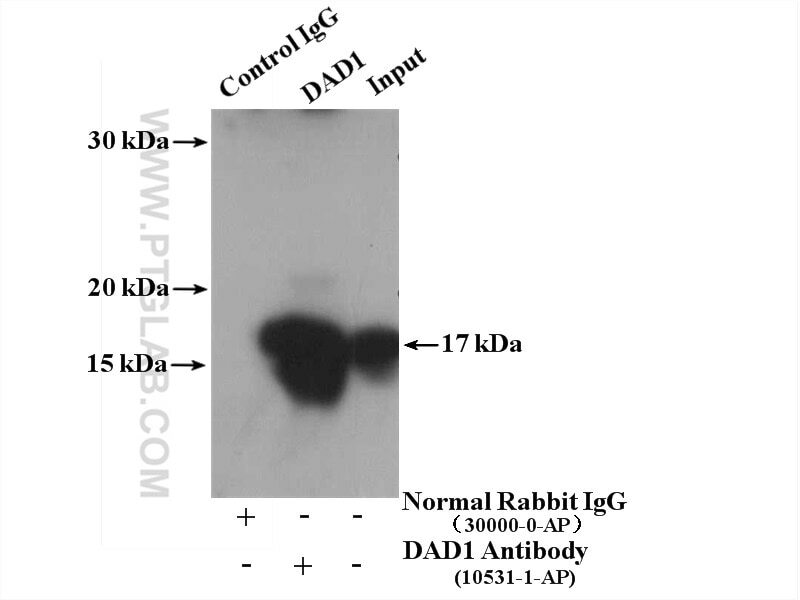 Increased expression of DAD1 has been observed in various tumors.